When someone you love passes away, a memorial stone acts as a beautiful reminder of their life, and as a marker for their final resting place. The memorial you choose is a lasting legacy, which can be personalised to perfectly capture the person you have laid to rest. Scott Memorials produces incredible monuments and memorials in Newcastle Upon Tyne, designed to your specifications with high quality workmanship. Our stonemasons in Newcastle produce fine memorials in a range of shapes and styles. They can be personalised with photographs and quotes, comforting prayers and favourite lyrics, custom artwork and traditional imagery. Memorials can be a standard headstone, a sculpted statue, or a plaque or marker to be laid flat at the grave site. We put a great deal of work into all of our memorial pieces, and they are designed to last for years to come. With weatherproof finishes and sturdy bases, our memorials can withstand the elements and they look great long after they are installed. The grave of a loved one is a place to mourn, and also to celebrate, the life that has passed. We know how important the right memorial is to you. That is why our friendly, experienced team work closely with you on all aspects of the design. We can help you create a lasting tribute that is just right. We understand how difficult it can be to think about memorials. We can arrange a consultation at your convenience, and we can visit you at home if you find that more comfortable. 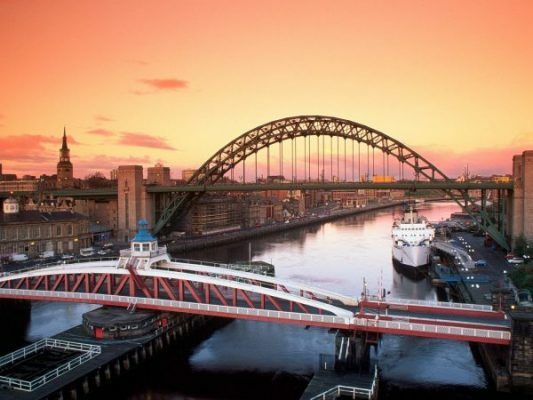 We have helped hundreds of clients in Newcastle and across the North East, and we have developed a great reputation along the way. We even help people who want to make their funeral arrangements ahead of time. If you want to save your loved ones the worry of selecting the right memorial, why not do it for them? We can advise on family monuments and headstones that have space for everyone’s personal details, immortalising all of you together in a lasting tribute. We are also here to assist with repairs and restoration work, and with additions to existing stones. If you need the memorial of a family plot updating, we can match the existing style and lettering to retain the stone’s aesthetic. We provide re-lettering and stonework repairs for damaged and weathered graves, and we can install new headstones to replace old, damaged ones. For more information on memorials in Newcastle, contact Scott Memorials today. We can provide you with a brochure of designs, and we welcome you to our showroom where you can see pre-carved stones and statues. This may help you make your choice. We only use the finest granite, sandstone, Lakeland stone and marble in our memorial designs, and we guarantee an excellent result with close attention to detail.